Jordan Brand turned heads during the release of the Air Jordan 3 Retro “Cement”, but they won’t stop there as they are set to release another elegant edition of the shoe. 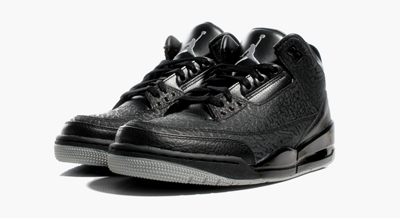 Called the Air Jordan Retro “Flip”, the silhouette, which will come out in Black/Metallic Silver colorway, features an upper part with elephant print on a black leather and paired with a metallic silver outsole. Can’t get enough of it? Make sure to grab one today as early as you can!